Collocations, words and phrases that will help you to talk about health and healthcare. How other people tell stories related to health and its role in our life. Links to useful materials which you can use to read articles, and listen podcasts about health and healthcare. Vocabulary from sub-topics and related areas such as: ways to stay healthy, healthy diet and lifestyle, deseases. What part of your lifestyle would you most like to make healthier? How is healthcare promoted in your country? What is the role of the government in promoting healthcare? What more do you think could be done to promote healthy living in your country? How can individuals take more responsibility for their own health? 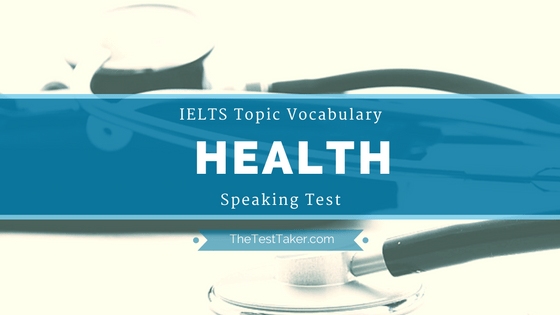 Reading: Health Vocabulary Found on QUORA | What is The Best Way To Stay Healthy? Reading: Health Vocabulary Found on QUORA | How Can I Stop Eating Junk Food After 8 PM? Reading: Health Vocabulary Found on QUORA | What Are Symptoms Of Swine Flu? Reading: Health Vocabulary Found on QUORA |Why Does Modern Healthcare Primarily Focus on Treating Disease Instead Of Promoting Health?